This is the second book in the Out of Egypt series. The reader will find the same characters, learn more about another, and see from the eyes of a newer character. 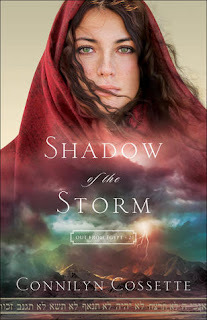 Shadow of the Storm presents a story of the exodus from Egypt led by Moses. As they are camped at the foot of the mountain, live goes on as each of the characters learn what it means to truly follow God and the dangers of breaking His covenant. Seeing history play out through the eyes of Shira, who is not privy to all the happenings and decisions of the elders, and who has to overcome a horrific assault from her past, is truly an experience in reading. Even the story told from the eyes of Dvorah, a vengeful woman, brings to light how the Hebrews strove to throw off the influences of Egypt and to fully embracing the love of God. 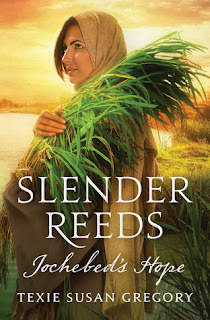 Slender Reeds is a take on a Biblical story that most all know. We have all read and seen stories about Moses and the exodus from Egypt, but never have we really been exposed to the story before his birth. Texie Susan Gregory takes on this challenge. 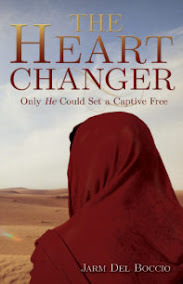 She proposes a "what-if" scenario into the life of the Hebrews held captive in Egypt. Seen from the eyes of not just Jochebed, Moses' mother, but also her friends, Ramses, and others. We see, as if floating above watching a movie or play unfolding before us, the madness of Ramses, the heartache of Jochebed and Shiphrah, and the anguish of the Hebrews. Told with such exquisite detail I could see the love, hope, and faith that God works in the darkness. I felt the horror at the little lives lost in such hatred. I understood in further detail the madness of Ramses and his rule. In the town of Beneficent, "A Town As Good As Its Name", a myriad of characters come to life and begin a journey that changes the town's heart and soul. 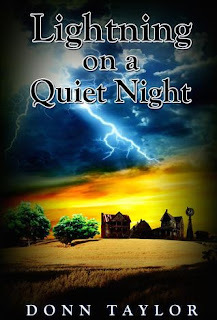 From the first pages of learning more about Lisa and her unwillingness to give this rural town a chance to the end where Jack learns more about what it means to forgive and trust his faith in the future, the reader is pulled into a story set within rural Mississippi and held there throughout this spellbinding tale. Right off the first page I was intrigued by this book. I didn't need to know the why Emelia was in Oxford, England. I understood from the beginning that it was to atone for a past failure. What captured me and held me throughout was Emelia's penchant for wardrobes and the pull to find Narnia. Do I believe in coincidences? Not really. Only if it's concerning a free parking spot or finding the last copy of a favorite book or movie. What I do believe and what this book shows in stark detail is that God is in the details. From falling out of a wardrobe to finding that elusive teacup, God orchestrates His symphony to capture a person's heart and soul. This happened to Emelia and Peter. The symbolism was light and subtle. I didn't lose the significance of the broken ship. After reading The Reluctant Duchess, I waited with bated breath on whether Roseanna M. White could top that masterfully written novel. And she did without exception. 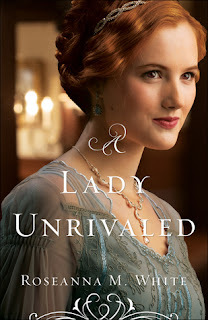 A Lady Unrivaled brings to a close a trio of love stories and the mystery of the Fire Eyes. 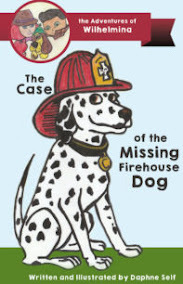 Ella, who had been mentioned in both books, was a simply delightful character and one that many people who are creative and adventurous would relate. Cayton is the man who dreams are made of and who is the epitome of how deep an individual's personality can go. 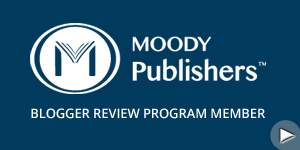 Readers will immerse themselves into a wonderfully written novel. 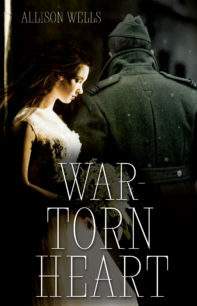 The descriptions send the reader right into the middle of the early 1900's, on the cusp of war. New characters are brought to us. Another character is brought healing and forgiveness. And yet another will find that a person can always change for the better. "This promises to be a bumpy ride." One sentence to sum the book: "I am the Lord's servant. May it be to me as you have said." How many times do we find ourselves determined to be the one in control of our lives? Or fail to realize that we have a purpose or a reason why we are where we are? Or better yet, that we really are not trying to run away from God, but wanting to run to Him? If ever presented with intuition in the form of demands only you could hear, how would you respond? 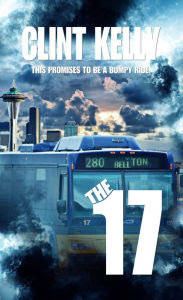 Clint Kelly answers that question as he leads us on a journey riding the #17 bus in Seattle. We see different walks of life; their humanity; their dreams and longings; their answers to prayers. And in most all cases, divine intervention. Never judge a book by its cover and never judge a person by his/her looks. 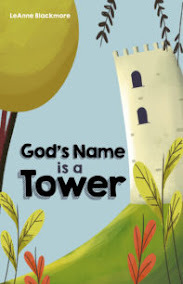 God will use whom He chooses as is evident in the story of James Carter. 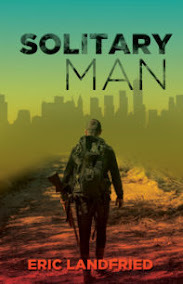 "One man makes it his mission to fix the broken, even if it kills them." Some see the handicap as broken, instead of awesome. 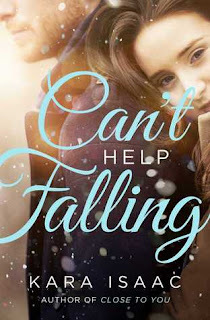 With each little difference in the character who live with what we would call a disability, the author shows the reader the meaning of perfect love. This is not just a suspense or a mystery, despite the red herrings thrown into the story; neither is it just a romance. This book layers friendship and love on top of determination and trust in God. 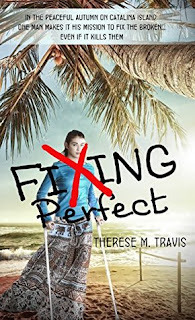 Therese M. Travis brings to life the lives of two friends, a small child, and deranged killer, each with their own voice. No convenient "hero saves them all" or the author pushing the boundaries of belief. This is a story of everyday people who are thrust into a terrifying ordeal. From the beginning of page one to the last word written, I was thoroughly engrossed in this novel.